First opening to the public in 2005, the Sporting Emporium Dublin is now one of the most popular casinos in Ireland. With a great selection of slots, table games, and of course, poker, the casino offers a truly comprehensive gambling experience. The establishment is open until 6 am every night of the week, so there is little chance to miss out on the action. 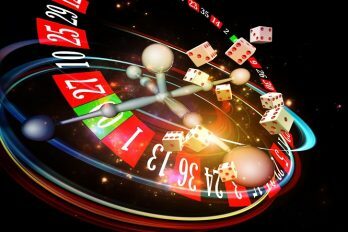 In this article, we explore the luxury casino in more detail. Before we begin, it’s worth noting that you will need to become a member of the Sporting Emporium before being granted access. It currently costs €25 to join, but in return, you get €25 of betting chips so the application is essentially free. Better still, you can enjoy a complimentary drink on your first visit. 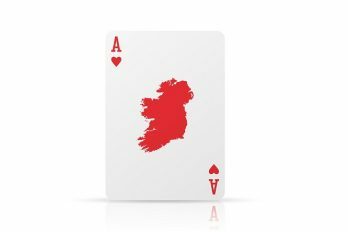 Currently, all of the casinos in Ireland are still governed by the Gaming and Lotteries Act of 1956. According to the outdated laws included under this act, casino gambling is technically still illegal in Ireland. To abide by this, most of the Irish casinos are actually private, members-only clubs. To become a member, simply take a valid photo ID along with you – a passport or driving license will be sufficient. If you plan your trip in advance, you can sign up online with a few quick and simple steps. Completing the registration process online prior to your visit will allow you to enter the Sporting Emporium as soon as you arrive! With the ground floor of the establishment filled with electronic gaming machines, visiting slot gamers will not be disappointed. The Sporting Emporium houses a mixture of state-of-the-art digital slots, and also more traditional games. Offering the perfect balance of classic and contemporary, this Irish casino has something for players of all sorts. The second floor of the building houses a number of dedicated blackjack tables. As blackjack is one of the most popular games at the Emporium, they offer a variety of different blackjack games, one of the most popular being Free Bet tables. While the rules of Free Bet are similar to the traditional game, there are a few small differences. For instance, when you are dealt certain cards in a Free Bet game, you receive a free bet that is equal to the amount of your original stake. Though Free Bet games are popular amongst the younger generation, older players often prefer to play the traditional version. To win a traditional game of blackjack, players will need to beat the dealer’s hand without going over twenty-one. To begin, two cards are given to the dealer and each player. Before any cards are laid, each player must place their bet. Each player is given the option to either hit or stay, although the dealer must draw up until twelve and then stay once at seventeen. The second floor of the casino is also equipped with a variety of roulette tables. For those who are interested in getting involved but don’t want to spend too much money, the Sporting Emporium allows you to bet fifty cent stakes on certain nights of the week. To partake in a game of roulette, players must begin by passing their money to the dealer in return for chips. Depending on the player’s preference, the chips will either be colour chips or cash value chips. At the end of each game, winners can swap their colour chips for cash value chips, which can then be exchanged for money. Once players have received their chips, they can begin to place them on the roulette table. Once all bets are placed, the croupier will spin the ball on the wheel. Players must have placed all of the chips before the ball lands in a designated slot; whatever slot the ball drops into is the winning number. Once the ball has landed, the croupier will pay all winning bets. Once the payments have been completed, players can begin placing their bets for the next spin. The most popular attraction at any great casino, the upper floor of the casino is kept specifically for poker. Equipped with 14 tables, find one that you feel comfortable at and test your luck. Cash games are held from 8 pm Thursday-Saturday. If you are interested in getting involved with the weekly tournaments, these games are held every Sunday night at 7 pm. As mentioned previously, you will need to become a member of the Sporting Emporium before being allowed to enter the establishment. Don’t let that put you off going, though. Membership to this casino is only €25 and the registration process is quick and simple – as long as you’re over the age of 21. A membership form can be filled out on the door or can be completed online prior to your visit if you want to save time. If you’re hoping to complete the form on the day, just make sure you come equipped with a form of photographic ID and a recent utility bill. 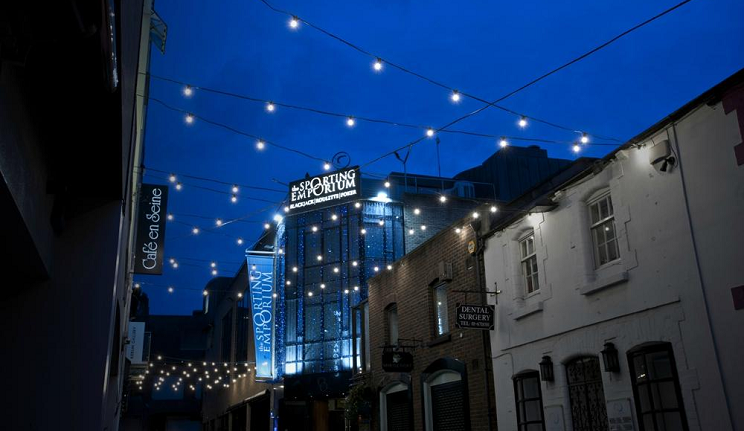 Whether you’re hoping to play on the latest electronic slot machines, or you’re more interested in getting involved in the weekly poker tournaments, The Sporting Emporium Dublin has something for players of all sorts. Due to the addictive nature of traditional gambling, it’s imperative to consider your financial situation before stepping foot in the casino. If you’ve got a few spare pounds though, this Irish Casino won’t disappoint! 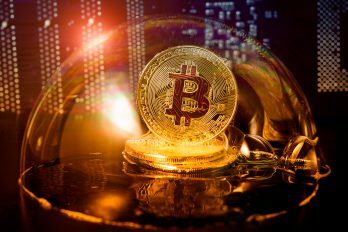 Are Poker Players Obsessed with Bitcoin?